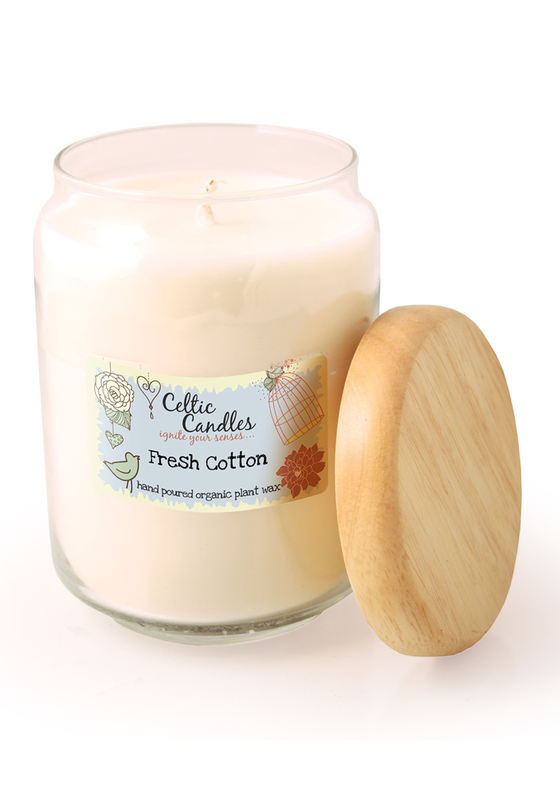 This large Fresh Cotton scented candle from the Celtic Candles collection will create a beautiful fresh clean smell in your home. A large candle with a burn time of up to 100 hours and no waste. The round glass jar comes with a wooden lid that can be used as storage when the candle is completely finished.